Fully integrated with the G1000® glass flight deck, the GFC 700 is an advanced, AHRS-based automatic flight control system that provides flight director, autopilot, yaw damper, automatic and manual electric trim capabilities and brings a high level of digital sophistication to general aviation flight control. 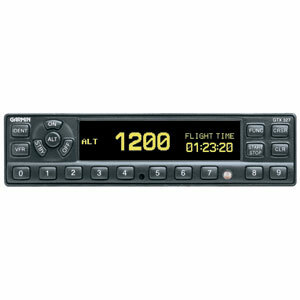 Designed from its inception to fly on turbine aircraft — and incorporating the top-level safety and performance features found in this class of aircraft — the GFC 700’s scalable architecture enables Garmin to offer exceptional flight automation, precision and value on a wide spectrum of GA aircraft. A fully digital, dual-channel flight control system capable of using the breadth of data available in the G1000 system, the GFC 700 offers inherent advantages in safety, redundancy and reliability — while optimizing performance over the airspeed envelope. Providing crisp flight maneuvering in response to Garmin’s solid-state MEMS-based Attitude and Heading Reference System (AHRS) data, the GFC 700 is built to inspire confidence while ensuring optimum smoothness and comfort. Sophisticated servo motors linked to the airplane’s control surfaces apply the control forces based upon the GFC 700’s commands. These servos have the power to control the airplane crisply, yet their control forces and speeds are digitally limited to avoid an unsafe upset. The difference is especially noticeable when flying in turbulence, as Garmin’s quick-responding autopilot is able to track the intended flight path with high accuracy, precision, and fluidity. Also, on approaches, the digitally controlled servo motors move fast enough to allow smooth flight even with gear or flap extensions. Garmin uses brushless motors in its servos for not only better reliability, but inherent safety, allowing smooth flight even with gear or flap extension. 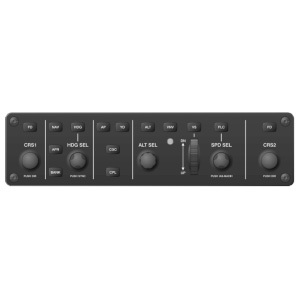 Plus, the system’s dual-channel digital self-monitoring technology provides an extra margin of security: If the two channels don’t agree, the autopilot will promptly disconnect in a “fail-passive” state, while alerting the pilot to take control. Using pre-stored airspeed limit data from the aircraft’s flight manual, along with autopilot gains that are scheduled to optimize performance, the Garmin GFC 700 offers excellent stability and control — delivering precise lateral and vertical navigation guidance for all phases of flight. The autopilot has the ability to maintain attitude, altitude, airspeed, vertical speed, and heading — in addition to flying VNAV descent profiles, automated Takeoff/Go-Around procedures, and more. Pilots will appreciate the positive, consistent trim response that’s afforded by airspeed-scheduled automatic trim control. Moreover, on climbs and descents, the system’s advanced software modeling ensures smooth roundouts and vertical intercepts to capture preselected altitude, while automatic nav-to-nav captures help streamline enroute and approach transitions in busy terminal areas. Cruise speed control, emergency descent protection, and more: The list of advanced modes and features available on the GFC 700 is truly impressive. Every component has been engineered to work seamlessly together. So, the GFC 700 can provide more usable input to the pilot while maximizing performance, enhancing safety, and reducing workload in the cockpit. Better still, the system is fully enabled for wide area augmentation system (WAAS) guidance capability, enabling it to fly fully coupled GPS-only LPV approaches into runways not served by ILS or other ground-based electronic approach aids. With WAAS guidance, the GFC 700 can automatically fly any WAAS procedure published in the navigation database, including holds, procedure turns, arcs and missed approaches. So, pilots can count on having all the help they need in those critical phases of flight. High-end Features. Simple Operation. Outstanding Value. If an autopilot doesn’t make flying easier, safer, more consistent, more enjoyable and, ultimately, more professional — then, by our definition, it’s not a great value at any price. 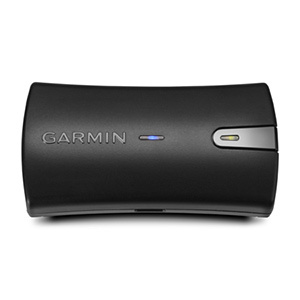 The Garmin GFC 700 is a great system — and a great value. 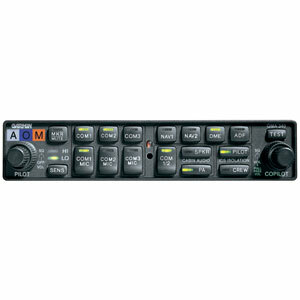 Its capabilities are state-of-the-art. Yet, its operation is simple and straightforward. 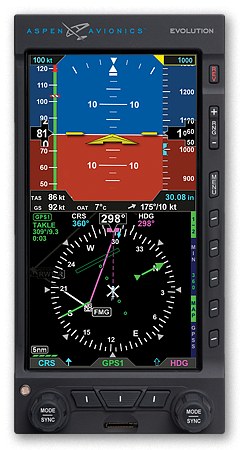 Control of the GFC700 has a consistent approach across airplane types, but, in some cases the control keys are integrated on the bezel of the panel-mounted flight display — while on others, a separate GMC (Garmin mode controller) unit is positioned on the cockpit glareshield, panel or console. No separate steps are necessary to arm a mode on the system: When the pilot enters a desired target altitude, the entry also arms the autopilot and flight director to capture the altitude when it is reached. On an approach, the pilot simply selects the approach mode, and it will automatically arm the system to intercept without changing from heading mode until the approach course is captured. Mode annunciations are clearly presented atop the primary flight display, using color-coding to differentiate between active modes and those selected for use upon capture. The flight director command bars are always in view when the autopilot is doing the flying — and may also be used for visual guidance when pilots are hand-flying as well. Aircraft Manufacturers who choose the G1000/GFC700 can specify aircraft — specific functions like those just mentioned — and special features that integrate with the FMS. In addition, these manufacturers can take advantage of new “cutting edge” technological features without changing avionics. Over-speed protection: With the autopilot engaged, this feature causes the aircraft to pitch up and slow down if the maximum speed limit is exceeded. Dual Flight Director Command Bars on select aircraft primary flight displays (PFDs): If one set fails, the backup command bars will automatically replace them. Flight Level Change(FLC) mode: Maintains constant airspeed while climbing or descending to a pre-selected altitude — and will sacrifice the commanded speed (if needed) to avoid flying away from the selected altitude. 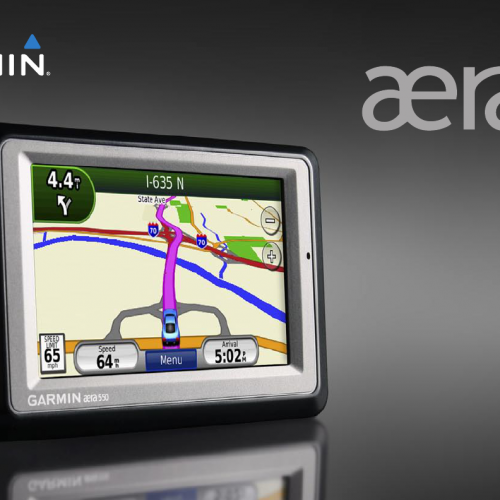 Enroute VNAV capture and tracking: Fly vertical profiles with ease. Yaw damper rudder trim: : In installations with a yaw damper mode, the system provides rudder control to avoid Dutch-roll oscillations and to coordinate turns when banking. automatic rudder control to avoid Dutch-roll oscillations and to coordinate turns when banking — even for airframes that don’t have a mechanical rudder trim system. Emergency descent mode: On select airframes, if the aircraft pressurization system fails or exceeds safe cabin altitude limits, the GFC 700 will automatically pitch down and follow the maximum safe airspeed to an OEM-specified altitude, where it will then level off to prevent the pilot from losing control due to hypoxia. See It. Fly It. Love It. The Garmin GFC 700: For safety, performance and value, it’s the system that sets the standard in GA flight control. NOTE: GFC 700 implementation and features will vary by aircraft model; check the aircraft flight manual for model-specific functionality.